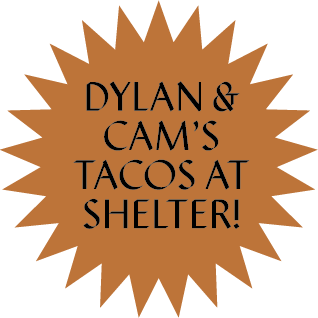 We have Dylan and Cam in the kitchen, they have an awesome menu featuring: tacos, tostada, pozole, salad, chips and guacamole. We do! We be doing 1L and 2L fills out of the taproom and will also have a cooler stocked with 32oz cans to-go. Please make sure you bring in clean growlers for your fills. Are you available in liquor stores? We are NOT. As a nano-brewery we are a TINY operation and will be selling exclusively out of our taproom. We hope you find our location in the heart of the city makes us accessible for grabbing a growler or can to-go. Are all your beers available in cans? They will be! We have 32oz cans and will be keeping our beer to-go cooler stocked with them to make it easy for you to grab and go. Tuesday to Thursday: 4 to 11pm, Friday and Saturday: 3 to 11pm, Closed Sunday and Monday. We welcome minors until 8pm, but they must be accompanied by a parent or guardian. We’ve got root beer in the fridge for the kiddos. Do you have gluten friendly options? We always have a cider on tap as a gluten free option, in the kitchen Dylan and Cam’s menu is entirely gluten friendly as well. Do you do private bookings or reservations? We take reservations for groups between 10 and 15 people Tuesday - Thursday. If you are interested in a private booking please feel free to contact us with your request.